Although there are not different types of flower petals, some parts of a flower can often appear to be a petal. 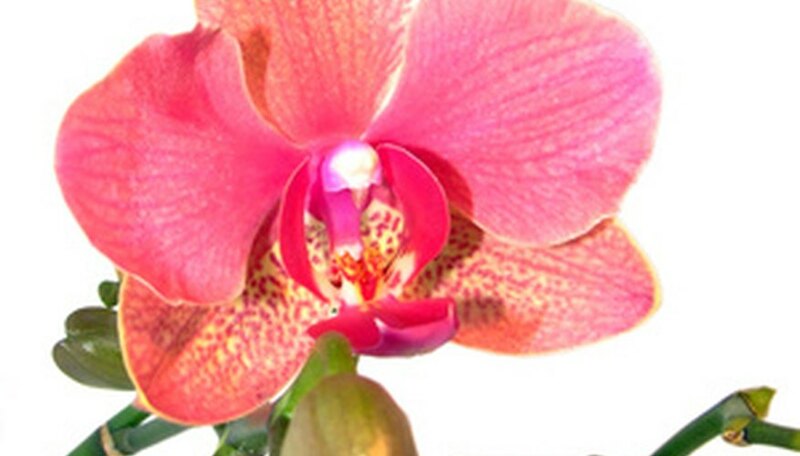 Orchids, for example, have flower components that either are larger than the petals or appear to be petals. Even though they are not technically petals, they are called petals in common conversation. A flower's corolla is the second row of thin structures that unfurl as the flower blooms. These sequential rows are called "whorls." The corolla is usually what people think of as flowers. Some corollas unfold into solid forms, like in carnations. In other flowers, they unfold into individual petals. The corolla, or petals, usually contains the brightly colored portion of the flower. These colors have evolved to attract insects and animals that help with flower reproduction via pollination. The whorl that contains the corolla is protected by the calyx, or outermost whorl, while the flower is in bud form. The sepals are part of the calyx. The sepals are green, petal-like structures on many flowers. On other flowers, such as some carnivorous plants, sepals can form traps to keep insects immobilized while the flower extracts nutrients from the insect. Although sepals on many plants are green, on some flowers they can appear to be the main petals or can be almost identical in color or shape to the petals formed by the corolla. In these cases, the sepals are often called "petals." In flowers where the corolla and sepals are very similar in color and where the two structures merge to form what appears to be a series of petals, the sepals and corolla are called tepals. A common flower that has tepals is the phalaenopsis orchid. This orchid appears to have five petals with a lower petal that curves up. These petals look the same, but are different floral structures. The flower has a corona that forms the two petals on the right and left of the flower. The top "petal" is a sepal, as are the two "petals" below the petals formed by the corolla. The lower petal that curls up is, in fact, a reproductive structure that is called a lip. The Canadian Orchid Congress: What's an Orchid?